After much planning and preparation, the Nutrition Project in South Africa welcomed its first interns in January this year. Julie McDonald, who recently completed an MA in Nutrition and Dietetics at the University of Sydney, was one of the first interns at the project. 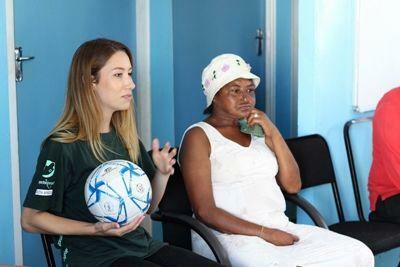 "I joined the Nutrition Project to help educate and empower the community when it came to their health and well-being. I didn't realize how much I would gain from this experience, from the fun memories to gaining more confidence in teaching others. It's an experience I will never forget." 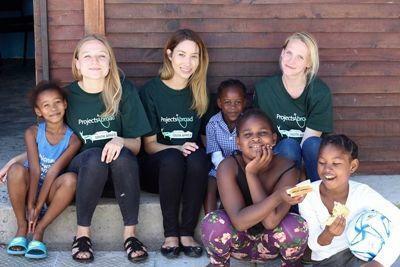 Interns at the Nutrition Project work together with other Cape Town-based Projects Abroad placements to improve the health and lifestyle of those dealing with the harsh realities of living in a township. Nutrition interns are working to educate staff at our projects on the importance of good nutrition for the young children in their care. All interns purchase vegetables from a partner organization and educate caregivers on how to prepare a healthy meal. With the necessary ingredients and guidance, these children can benefit from a healthy meal every day, while under the care of Projects Abroad staff and interns. 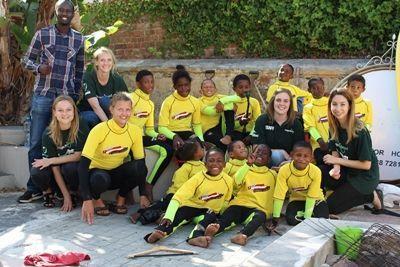 Our interns have also started work to improve the health of children who attend our Surfing Project twice a week. These children are often either overweight or malnourished, so interns help to prepare a healthy meal for them and run nutrition-based activities with the children to educate them on the benefits of healthy eating. Interns also assess and advise community members suffering from diseases such as HIV and TB, which require specific diet plans that can drastically improve their lives. Each member receives a health evaluation and interns work with them to create an improved diet plan and to encourage them to start vegetable gardening. British intern Naomi Smith says of her experience: ‘It's almost impossible to find this kind of opportunity elsewhere; to get such hands on experience and get so involved in the community. Your work is valued so much more, and working with people makes you have to think on your feet!" Although the Nutrition Project is in its early days, Projects Abroad is well-established in Cape Town and has a strong understanding of the needs of the communities in which we work. “So far we have conducted baseline surveys to find out the specific needs of the community. The most common issues have been obesity in women and a serious lack of people growing their own food,” says Kent. Through promoting a healthy lifestyle at a range of different projects and groups, interns on the Nutrition Project are able to offer support and advice to disadvantaged communities who would otherwise not have access to such information. This support also enables the different placements to continue with their own work, be it surfing, care, or counseling, in a more productive, healthy, and sustainable manner. Ruby Burchfield, a Public Health graduate from the US, found her time interning to be a valuable learning curve: “My experience…has been rewarding as well as eye opening. I feel that I'm learning so much about the people, the culture, the science of nutrition and about myself."